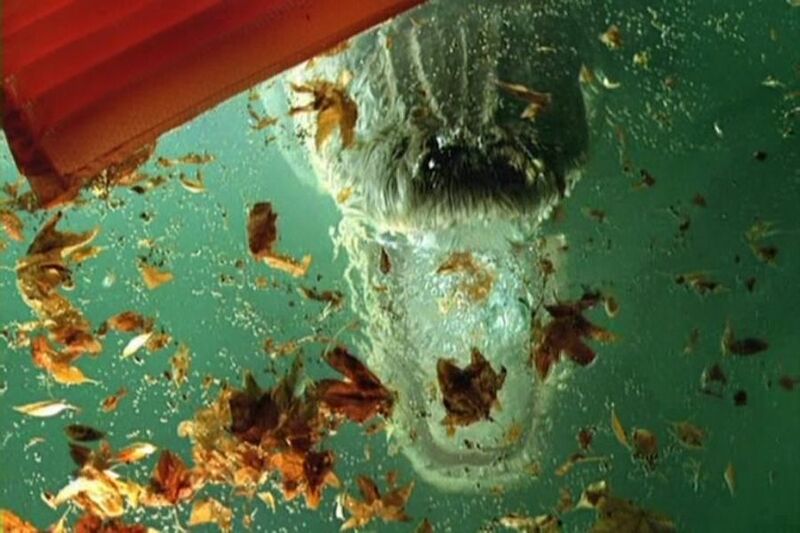 In the 1980 monster flick ALLIGATOR, one of the scariest and most memorable moments involves a group of kids playing pirates in their backyard, and forcing one of their friends to “walk the plank” on the swimming pool’s diving board… only to discover too late that the title monstrosity is eagerly awaiting the delivery of his next snack. 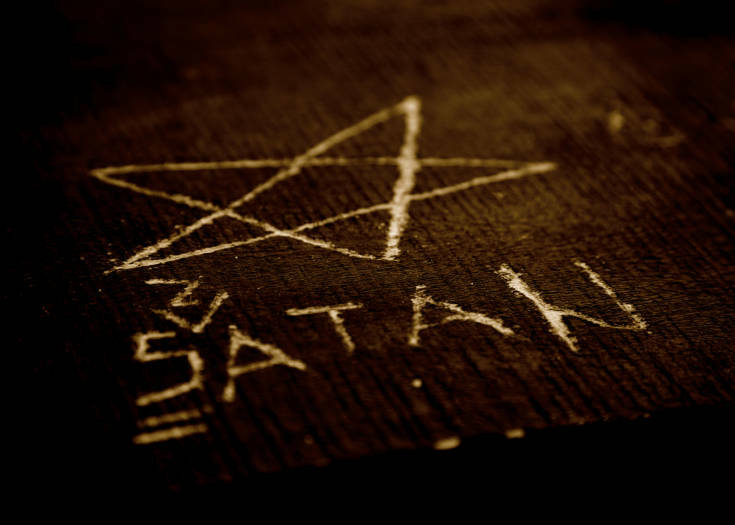 That kind of nightmarish scenario only happens in movies, right? Yeah, well… no. 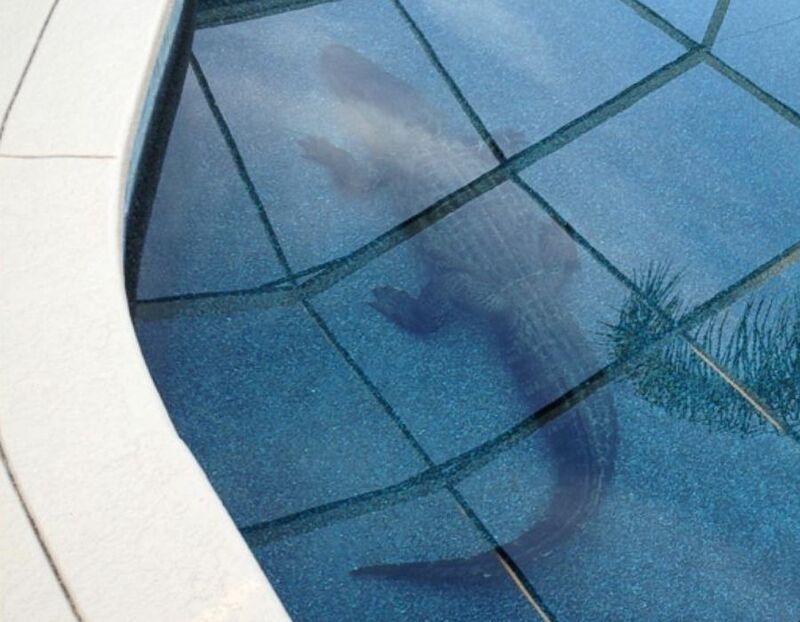 You see, earlier this week, when Craig Lear of Lakeland, Florida spotted some bubbles rising from his backyard swimming pool, he first assumed a golf ball from the nearby course had flown into the water… but when he took a closer look, he was horrified to find what was waiting for him beneath the pool’s surface. At the bottom of the deep end, he spotted an immense green mass — which turned out to be a nine-foot alligator, weighing around 300 pounds. 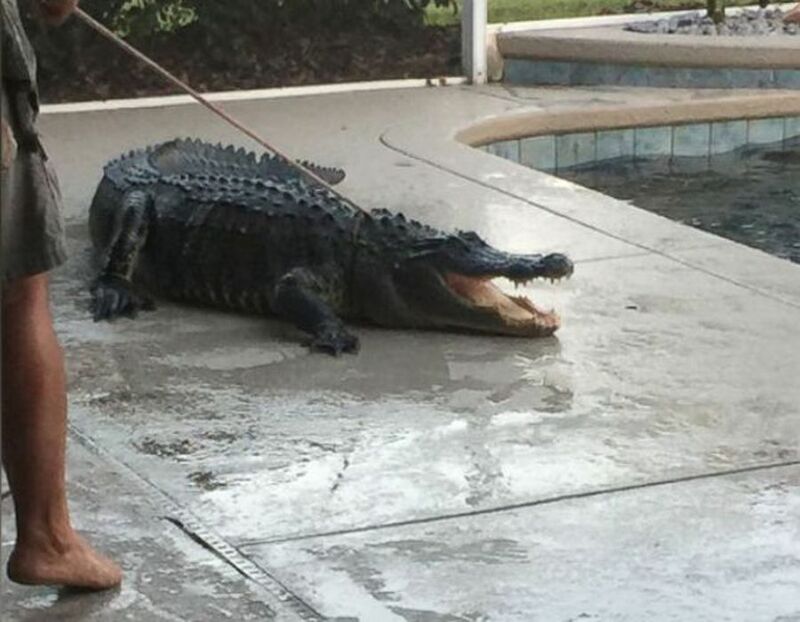 “I hear stories about gators, but never at my house,” Craig’s wife Laura told ABC News. 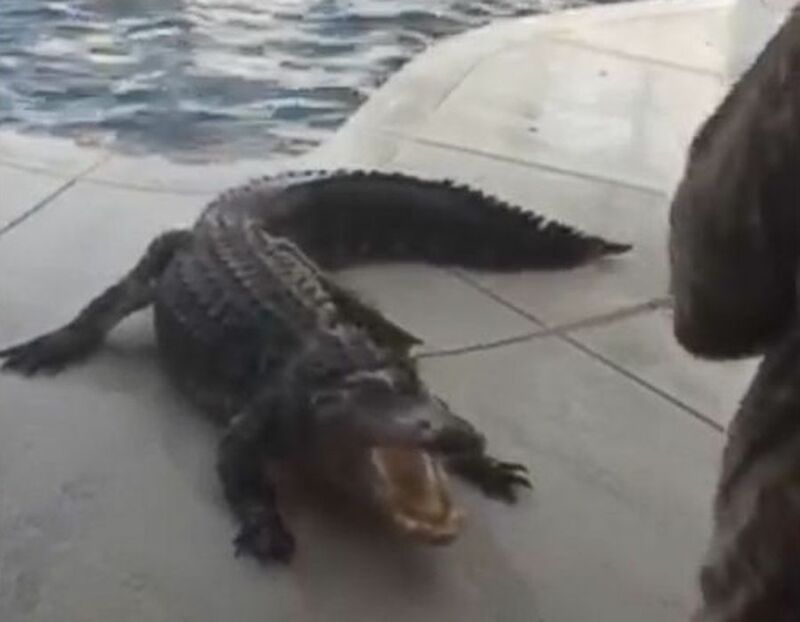 A call to the Florida Fish and Wildlife Conservation Commission brought expert gator wrangler Scott Barbon to the scene, and after a fearsome hour-long battle with the giant reptile, he was finally able to secure a lasso around its neck and remove it from the pool. 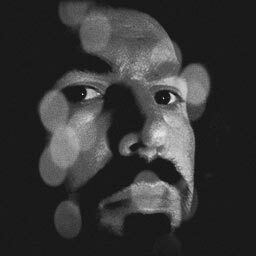 “They’re pretty tough animals,” Barbon told ABC. The Lears said they weren’t really afraid of any future gator incidents, figuring the odds were pretty slim that another gator might drop by… despite the fact that the area is home to literally millions of the massive, carnivorous aquatic beasts.